Move over, quinoa, there’s a new grain in town. 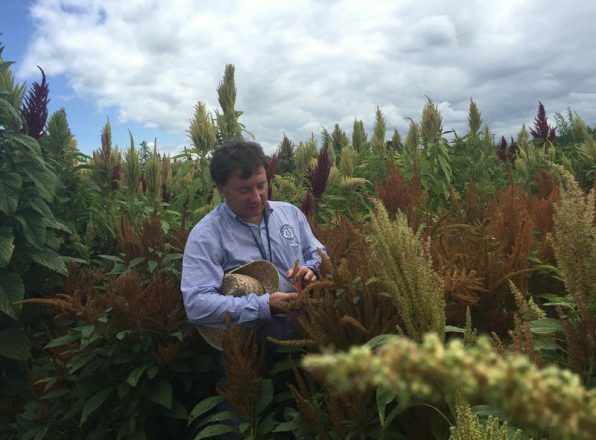 Tennessee State University researchers have been growing amaranth in the university’s experimental fields in Nashville. The ancient grain was actually first revered by Aztecs in Mexico, but TSU researchers are hoping it will grow in popularity with consumers today, thanks to its impressive nutrition and gluten-free properties. The grain is hardier than corn, thriving in higher temperatures with an impressive drought resistance. But most importantly – what does it taste like? “It’s a subtle flavor, but popped it tastes much more nutty and flavorful,” according to Matthew Blair, associate professor at TSU. It’s comparable to polenta, with a smaller, creamier texture. Learn more about the grain at tnstate.edu.